The KHTML engine has long been a key part of the KDE desktop environment, providing us with a tightly integrated web browser, rich email rendering interface, and simple ability to embed HTML content in any host application. The engine has also been popular with other opensource projects and companies, most notably Apple with their WebKit. With new interest in web technologies sparked primarily by the success of the Firefox browser, KHTML, in one form or another, is poised to become a first-tier web browser. This talk will explore the current state of KHTML, where it stands relative to other browsers, and where development of KHTML is going in the KDE project. George Staikos is a software developer and consultant from Toronto, Canada. 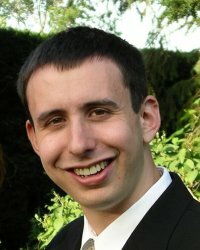 He is also a KDE Core Developer responsible for a wide range of KDE components including cryptography, plugins, networking, and various components of Konqueror. He has been an active KDE developer since 1999 and has also developed several prominent KDE applications such as kdetv and kst.